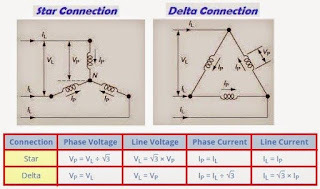 Three branches in an electrical network can be connected in numbers of forms but most common among them is either star or delta form. In delta connection, three branches are so connected, that they form a closed loop. As these three branches are connected nose to tail, they form a triangular closed loop, this configuration is referred as delta connection. On the other hand, when either terminal of three branches is connected to a common point to form a Y like pattern is known as star connection. But these star and delta connections can be transformed from one form to another. For simplifying complex network, delta to star or star to delta transformation is often required. The replacement of delta or mesh by equivalent star connection is known as delta - star transformation. The two connections are equivalent or identical to each other if the impedance is measured between any pair of lines. 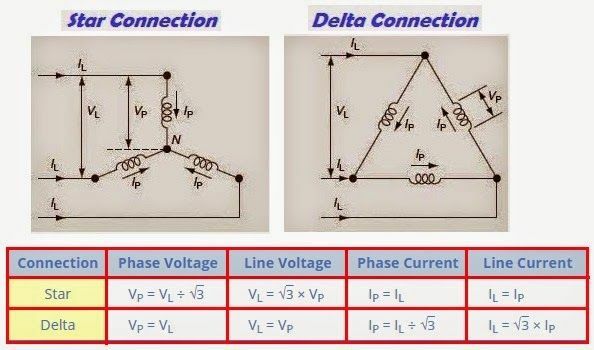 That means, the value of impedance will be the same if it is measured between any pair of lines irrespective of whether the delta is connected between the lines or its equivalent star is connected between that lines. Consider a delta system that's three corner points are A, B and C as shown in the figure. Electrical resistance of the branch between points A and B, B and C and C and A are R1, R2 and R3 respectively.